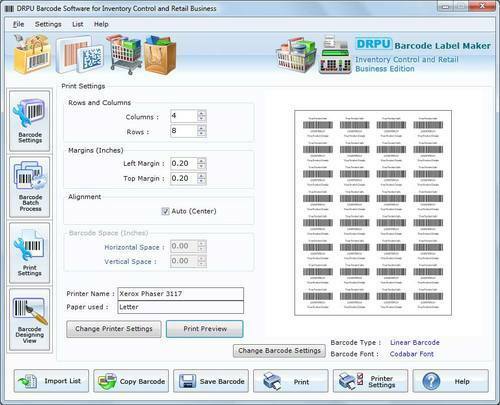 We are offering Barcode Inventory Software to our client. barcode system for Small Businesses. ... A typical barcode inventory system includes hardware, such as barcode printers and scanners and software that runs on computers and mobile devices that allow for barcode scanning and other operations. Established in the year 2006 as a Proprietorship firm, we, 'Hi Tech Labels', have attained a reputed name in the field of manufacturing and trading a wide range of Printed and Plain Labels, Thermal Transfer Ribbon and much more. These find extensive use in varied industrial and commercial application areas, owing to their attractive designs, remarkable elasticity, and tensile strength. We are also providing UV Printing Services. Following the footsteps of our mentor 'Mr. A. Thangamalai', we have been able to serve the clients with supreme quality products. Owing to his enduring support & rich industry experience, we have attained a remarkable recognition in the industry.